So much for Robbie Lawler (pictured) taking some time off. 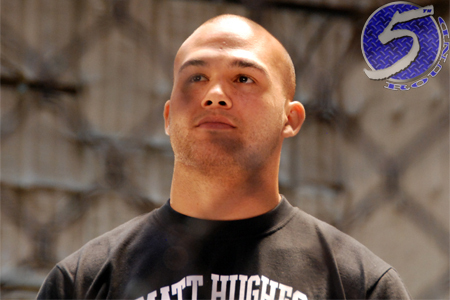 On Tuesday, UFC president Dana White announced Lawler will battle Matt Brown at UFC on FOX 12. The pivotal welterweight shootout headlines the July 26 festivities, which takes place inside SAP Center in San Jose, California. Lawler is just three days removed from dominating Jake Ellenberger at UFC 173. It was the 32-year-old’s second fight in two months. “Ruthless” has won four of his past five bouts, with three of them ending via some form of knockout. Brown, meanwhile, has rattled off seven straight victories. All but one of the wins during his torrid run came via some kind of KO. “The Immortal” rallied to post a dramatic TKO over Erick Silva earlier this month in Ohio. Both 170-pounders were hoping their last performances were good enough to score top contender status. However, it appears White wants them to prove their mettle one more time. The bright side for Lawler and Brown is that White confirmed the winner get next crack at the welterweight crown. FOX broadcasts the main card live starting at 8PM ET/5PM PT.